What's behind the rise of the tasting menu? "The first six or seven little bites come in very rapid succession, one every 180 seconds," Magnus Nilsson says, with characteristic thoughtfulness, in his episode of the Netflix documentary series Chef's Table. "So basically, when you've had one little bite, the next one arrives. "Then, after a few delicious bites, it's a little bit slower: a new plated course landing on your table every seven or eight minutes. After a half hour, and a little bit of wine, the pace will change again, and we increase it – very rapid. And after that, we can go back to plated courses again. "You're going to sit down for two and a half hours in my restaurant, and I'm going to give you 30 courses. When you control it perfectly, no one thinks about it being too quick. It's just delicious." Nilsson is chef-patron of one of the world's most sought-after restaurants: Fäviken, in the Åre region of Sweden – a tiny restaurant in one of the more remote parts of Scandinavia. This means that whoever comes to his restaurant is making a pilgrimage of sorts, and anyone who does presumably knows what they're in for, and is totally ready to be at the mercy of this iconic contemporary chef. 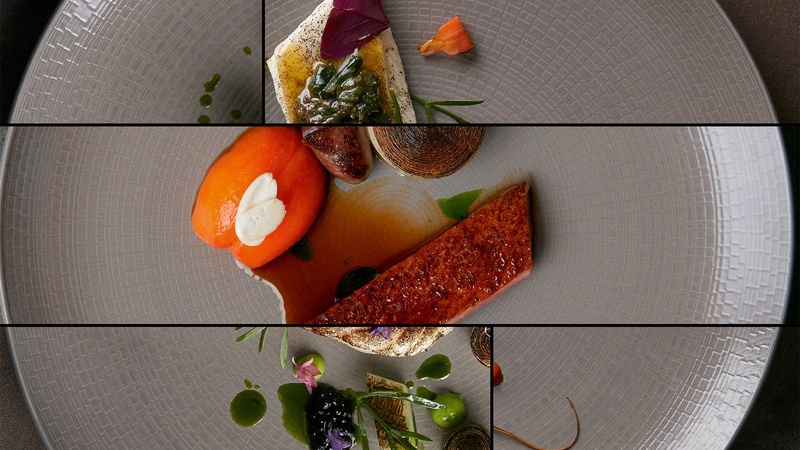 The format of choice for Nilsson to deliver his food to the table is the tasting menu. There's no à la carte offering at Fäviken, which is fitting, seeing as the tasting menu format in itself is about handing the control of the dining experience back to the chef. And it figures that, since chefs are more visible than ever, and the cult of the chef is in full swing, it's a format that's gone from a select few restaurants to being a pretty prevalent form of eating – and not just the realm of the Michelin-starred restaurant, or the type that graces the World's 50 Best list. 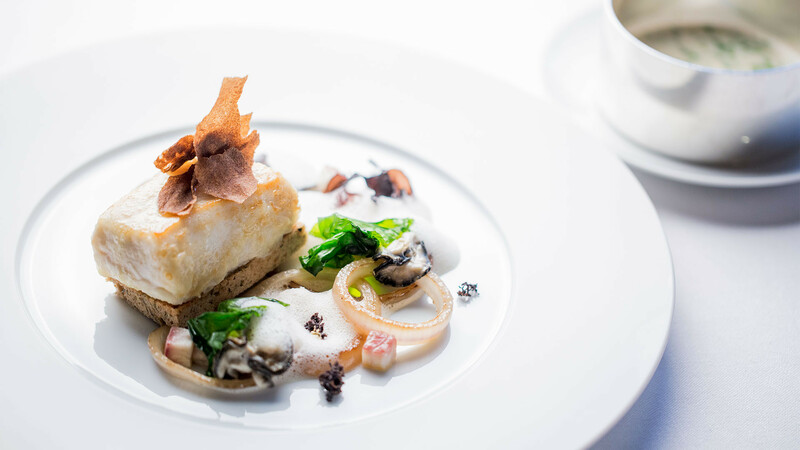 Like most hallmarks of contemporary fine dining, the tasting menu is French in origin. The menu dégustation, as it came to be known in France in the 1970s, was a way for the big-hitting French chefs of the nouvelle cuisine movement (arguably the first ancestors of chefs like Nilsson) to dictate the eating and drinking experience to their diners by serving them not three large courses, but ten or more smaller ones. The prevailing thought was that if they were the experts, why leave the choosing of the food to those less educated about it? It marked the beginnings of the cult of the chef, and the restaurant's movement from somewhere that you go to eat to somewhere you go for both an experience and an education. 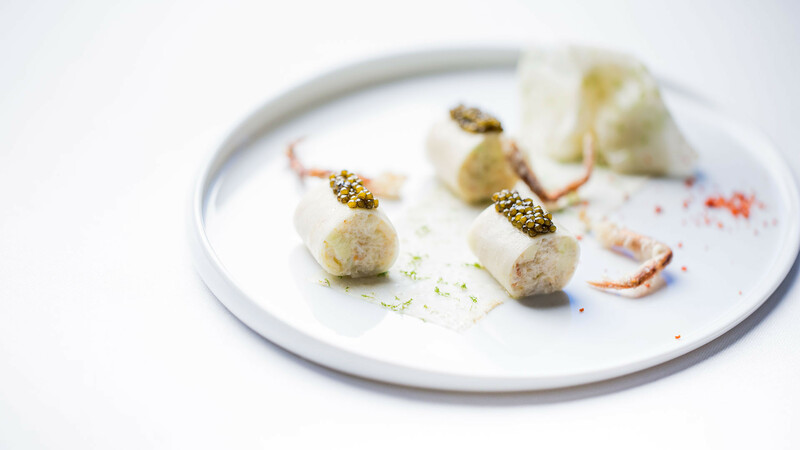 Today London's dining scene, especially at the top end, is full of the hallmarks of nouvelle cuisine (and of French cooking technique generally) – perhaps none more so than the tasting menu. As the iconic French chef Alain Ducasse – who is in the rare position of having a career that has spanned the awakenings of the movement and contemporary dining, too – says, "tasting menus are great to understand the world of the chef – the vision, the philosophy and the cuisine. It's a summary of what a chef can offer." 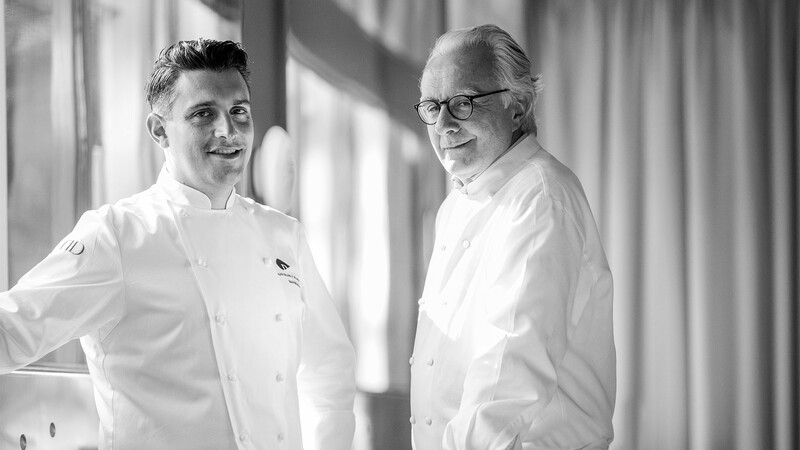 As a restaurateur whose restaurants are largely in hotels, including his three-Michelin-starred offering at The Dorchester in Mayfair, where guests often don't have time for a three-hour-plus meal, it should be noted that Ducasse doesn't place the merits of the tasting menu over a more standard à la carte option, but he concedes that "if you have the perfect wine pairing with a perfect tasting menu, you have a perfect picture of a place." 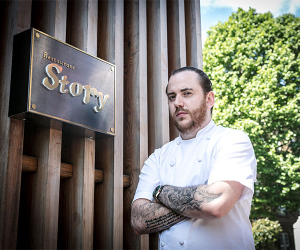 Many restaurants offer both, but for those restaurateurs who have had an education at the hands of some of the world's foremost chefs, like Thomas Sellers of Restaurant Story in Bermondsey, the format was the only option when it came to trying to create their own identity. "It's a great way to show an insight to a chef's mind, more so than the food: how it works, how it builds the journey," Sellers says. "There's a real importance in the order in which it's eaten, from flavours – starting with light, acid flavours, building up to heavier, fattier flavours: we think about all of these things. We always had a plan and the plan was to run one menu. "For me, that longer format – being able to do dishes that are slightly smaller – gives you that freedom to be able to almost take the diner on the journey that we want them to go on. Whereas à la carte, the power goes back into the hands of the diner – they choose what they want, and of course there's a place for that, but it definitely wasn't for us here." 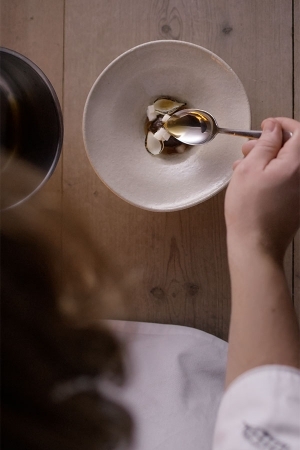 Sellers' restaurant is of a certain type: the name comes from his desire to use his menu to instil a feeling of narrative progression through food, and it bears traces of the American chef Thomas Keller and René Redzepi, the mind behind the one-time World's Best Restaurant Noma in Copenhagen. "I took something away → → from the way Noma did it, the way Per Se did it, and you can see that in the food here," he says. Like Nilsson, Redzepi had a keen eye for pacing, which is of paramount importance when you're asking a diner to eat and stay engaged with that many plates of food in one sitting. "Rene had the small plates going out quickly at the beginning, and I liked that you automatically got engaged really quickly – boom, boom, boom, boom. "But then I look at Thomas Keller, certain things that he does, the way he'll break a course down, showing the dish first or an ingredient on the dish, then a big explanation, then maybe something table-side. All of these things have influenced the way we work here." It came as no surprise when Restaurant Story won a Michelin star a short time after opening (and it has a price point to match), but what's interesting in 2017 is that it's no longer the domain of the elite: increasingly, chefs are offering tasting menus at less than £50 for 12 or more courses – even pop-ups and temporary residencies are now experimenting with the format. Mark Jarvis is one such chef. His restaurant Anglo, in Clerkenwell, offers only this format in the evenings. "When you offer a la carte," he says, "it's so hard to get everything right. There could always be a misfire, one dish doesn't go out exactly as you want it. I thought to eliminate that, we can have one menu that we can perfect, and when people come in we know that we're doing it the best we can, and that it's consistent: the diner gets a good experience and we get the pleasure of cooking something that we're really excited to cook. 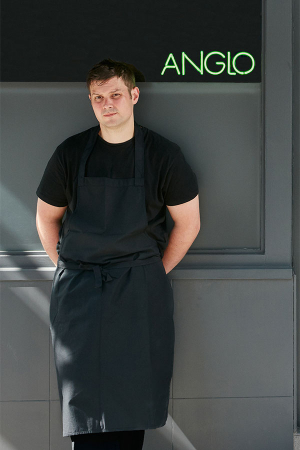 "I think with a tasting menu, because you're constantly changing it, the standard ultimately has to be higher: people know that they can trust your cooking and your judgement of flavour and balance." It's easy for detractors to paint tasting menus as platforms for a chef's inflated sense of self-importance – "the bloated rock operas of the culinary realm," as Jeff Gordinier referred to them in Esquire last January. "By entirely removing choice from diners, [tasting menus] enable chefs to dazzle their guests with their skills, ideas, inspirations (and egos)," journalist Kashmira Gander wrote in an article in The Independent this year, one that was largely unfavourable of the format. "But from a more cynical perspective, the bite-sized courses are an easy way for chefs to reduce waste and make a bit of money." Gander is right: what often gets lost is the economic benefit to the chef of being able to tightly control what their customers are eating and when. "Cynical", though, seems an incongruous word to use, especially when the context is at least partially about reducing waste. And a chef using a tasting menu to up their profit margin shouldn't necessarily be thought of as cynical, either – restaurants aren't charities, nor are people forced to spend their money at a restaurant they don't like the look of. And with almost all menus available online with prices, a sting in the tail of an evening upon the presentation of a bill isn't as common as it once was. Sellers is effusive about the format's benefits: "I know exactly how many diners I have; I know exactly what everyone's going to eat, which means there's minimal waste; it means we can control the product – we have the most amount of control possible over the ingredients, the products, when they come and being able to get the freshest; we know exactly what we're going to sell; it means less food goes in the bin." And Jarvis echoes this sentiment, saying that "one of the big things, obviously, is food waste and keeping it green. If a whole lamb comes then we can use every cut, and everyone can try a different bit. I'm not paying for the foie gras sitting in the fridge that hasn't sold tonight; you know you're going to sell it, or you don't put it on, because people don't like it. But on the 'making money' part of the argument, he's more bullish: "At the beginning, we could have turned tables and maximised the profits by doing that, but we decided 'no, let's give the diner the three-and-a-half-hour experience', where they sit there and they can enjoy it, and they can understand it, so it's not rushed, it's not pushed on them and they know that there was talk about the food, or they want to slow the dishes down and talk about them." And this is a good point. For all the control that designing a menu from the ground up gives a chef, it also means they've got diners sat at the same table for hours on end. The only room for increasing the margin is through the wine list, but even that goes out the window with a paired drinks menu. "Everyone eats at a different pace," Sellers says. "You might have a couple tonight that'll do the whole menu in two hours; you might have a table of five and it'll take them five hours. Certain ways we control that is we don't turn tables in the dining room, so when you sit at the table in this restaurant it's your table – you want to be there for two hours, you want to be there six hours, it doesn't matter." So, whether you think it represents a joyous way to eat and an enlightening glimpse into the mind of a chef, or you think it's a tiresome and unnecessary extension of a self-indulgent cult of personality on their behalf, it's undeniable: the tasting menu is, like sharing plates, changing the way we think about ordering food. And with more options on the table than ever, and plenty that don't cost more than going à la carte, it's only growing in popularity. Putting aside four hours to worship at the altar of an exciting chef is something more and more of us are willing to do. 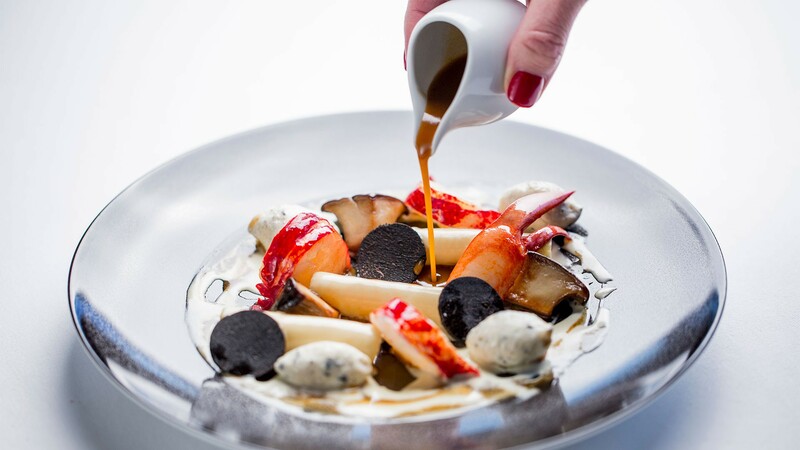 Whether you're paying £140 for seven courses at Alain Ducasse at the Dorchester or £48 for 13 at Anglo, it's a clear indication that, where a meal out used to be about ordering three courses, eating, paying and leaving, today there seems to be far more at play than that.